Little girls love to see their inner princesses come to life, and Maddy Magoo know just how to make their dreams a reality. 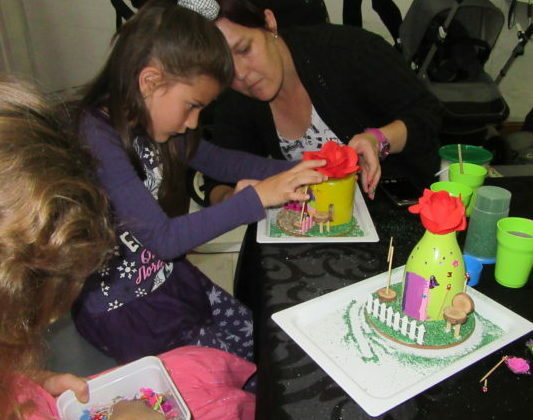 Acacia has had a rotten week being sick with bronchitis but there was no way she would miss her appointment for a haircut and fairy house building workshop, at Maddy Magoo Fourways. The outing perked her up more than any meds. Things are more fun when you do them with a friend. First Acacia and her friend Skyla made magical fairy houses. 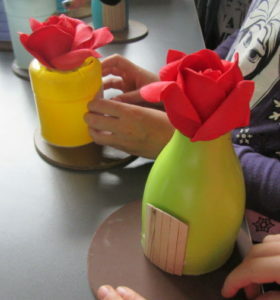 Creativity was unleashed as they chose materials to adorn the basic houses made from up-cycled products. The lovely friendly staff fueled their imaginations while helping where needed. 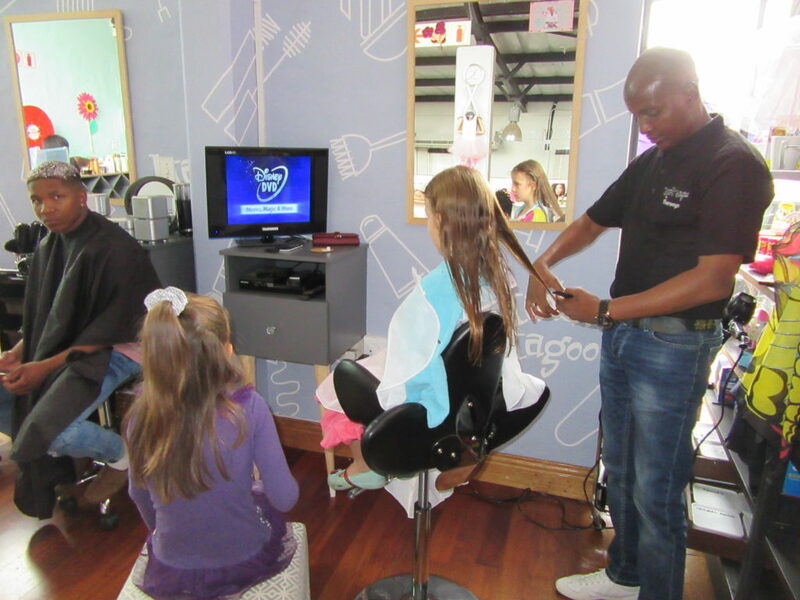 After the fairy houses were complete Vusi did an amazing job on Acacia’s hair. Humans are funny, ones with straight hair want curls and those with curls want straight hair. 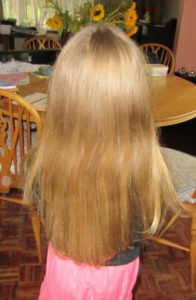 Acacia loved the transformation from curls to sleek straight hair. 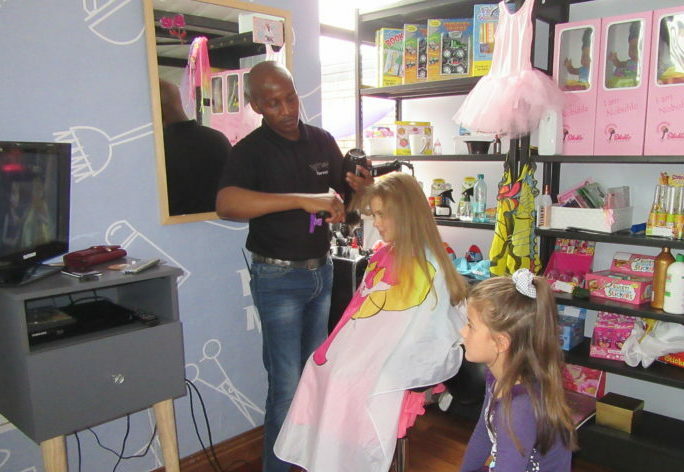 Last year we visited Maddy Magoo in Bedordview, Acacia doesn’t want to go anywhere else for a haircut since the Maddy Magoos experiences. 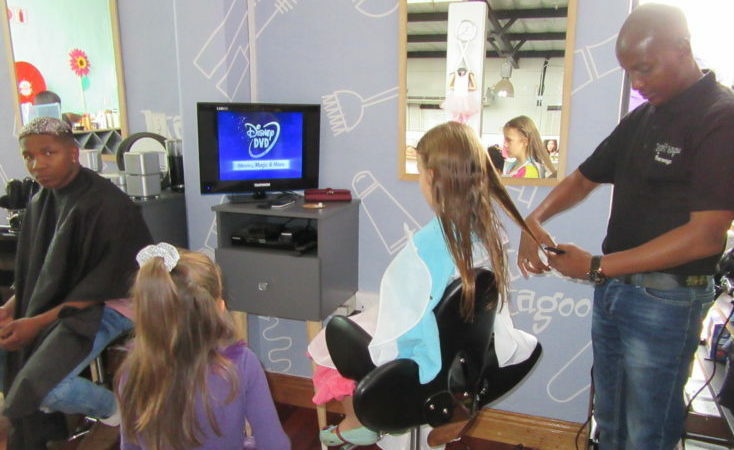 You can win a free hair cut, or wash and blow dry or protein and hydrating treatment at Maddy Magoo Fourways by entering below. 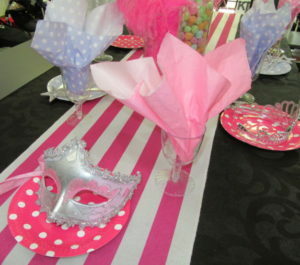 Entries close on Friday 23 March and the voucher is valid until end of April. Enter by commenting on this post. 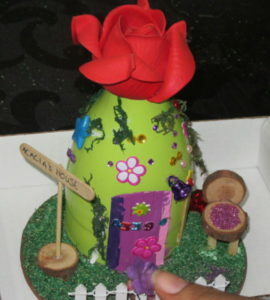 I was given vouchers for Acacia’s hair and fairy house building. 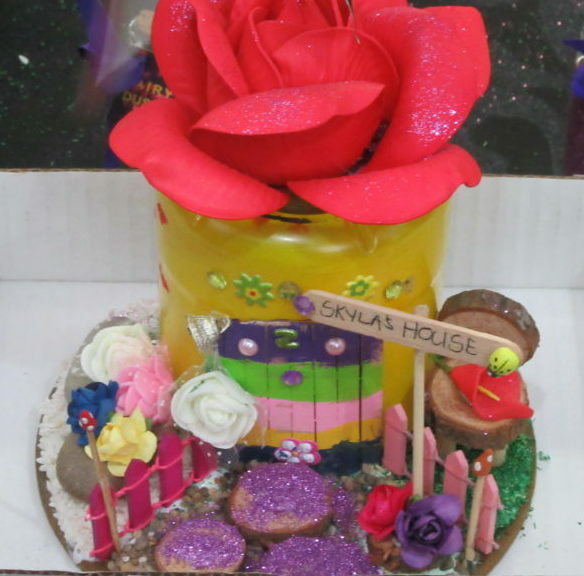 Her friend Skyla joined as a paying customer.